Doering Landscape Company was established in 1976 when Rick Doering started providing landscape services to clients during the summers of his college years. 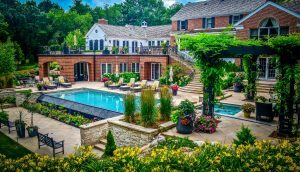 Since Doering Landscape’s humble beginning, Rick and his dedicated team of professionally trained architects, managers, office and field personnel have continued to develop Doering Landscape into one of the premiere landscape companies of Northern Illinois. Our loyal base of residential and commercial customers is the foundation of our success. Through personal recommendations by our satisfied customers, Doering Landscape has steadily grown into a comprehensive full service, Landscape Design, Construction and Maintenance company that can meet your every need. Doering Landscape will continue to provide uncompromising service, the highest quality products available and individualized attention to your landscape needs. We consider it an honor to work with you and are always committed to give you the best value for your investment. Call or email today to get started on your next project!